Shine your armor, feed your mounts and get ready your bombs for another round of Wahlords Tournament. 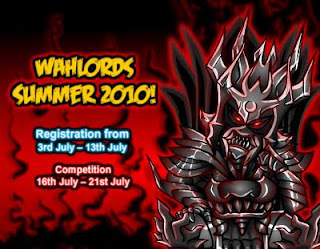 Coming back this summer is Wahlords Summer 2010! Will a new club seize the emblems from the ones holding it?